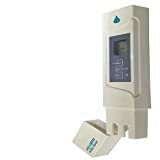 Top 10 Best TDS Meters in India 2019 - Top 10 In India - Only The Best of everything! LATEST product list, updates regularly! 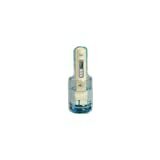 A TDS meter is small device that measures the purity of drinking water. The full form of TDS is Total Dissolved Solids. There are many standards available for what is considered a good TDS level for drinking water, but amongst all the differing opinions the most widely held one is that a TDS level of around 50 parts per million (ppm) is best quality drinking water. There are some experts who say that up till around 80 ppm, the water is still good to drink. You will find a chart below where you can see what reading on the TDS meter implies what. A TDS meter is essentially used for checking the quality of water at home. By using a TDS meter regularly on the water that you drink at home you can be sure that the water is within safe levels and is good for the health for everyone in the family. The Total Dissolved Solids in water is composed of salt and other minerals. If the TDS level of the water is below 20, it is considered to be too devoid of minerals to be healthy for drinking, and will be bad for health in the long term. So that important thing is to drink water that is neither above the minimum TDS level and above the maximum level. Many Indian homes now have RO water systems to purify the water and make it drinkable. The objective of the RO system is to bring the TDS level of the water to a round 50 ppm. However sometimes the RO pump may not be working properly or there may be a technical issue that we do not know about and the drinking water may not be within the required levels. That is why it is a good idea to check our RO water at home once every month to ensure that the TDS level is around 50 ppm. If you drink Ro water at home, then your body gets used to drinking water of a certain level of purity. If in this scenario you go outside and drink tap water that has higher TDS levels then it will cause more harm to your body than normal. The reason is that your body has got used to drinking water of higher purity and then suddenly drinking impure water with higher TDS levels, will cause more health issues. So, always remember to make it a point to buy bottled water when you go outside, if you use an RO system at home. It is generally accepted that water with TDS levels between 40 and 80 is good to drink. However, even if you drink water that is around 30 ppm or 150 ppm, it is still alright. Water below 30 ppm and over 150 ppm is considered to be harmful, so definitely avoid that. It is very simple to use a TDS meter. 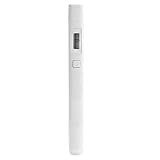 Just open the cap of the TDS meter and click the on/off button. When it is switched on, dip the TDS meter in the water, only up to the point till which the cap covered it. Immediately you will see a reading on the display. If the display number is within safe drinking water limits then in some TDS meters there will be a green light. If the TDS levels are outside safe drinking water limits then a red light will come on. However regardless of the lights, just make a note of the reading an check whether it is safe or not according to the chart below. Dip the TDS meter only up till the point which was covered by the cap and not beyond it. If you put too much of the TDS into the water, it may get damaged. If you don’t want to invest in a TDS meter but still want to check the purity of drinking water in your home, then look for a good RO system store near your house. Just carry some water from your home to the store and you will definitely find a TDS meter there. They will let you test the TDS level of the water from your home. You can do this once in a month to ensure that the Ron system in your home is working fine everyone in your family is having pure and safe drinking water. If you want to buy a good TDS meter check out the Top 10 Best TDS meters in India given in the list below and make a choice. Do have a look at the TDS Meter chart below, which tells you what TDS meter readings mean and what levels are safe for drinking. The list below only features the top bestselling TDS Meters, which means you will get the best quality and best value for money. When you choose from www.top10in.in, you get the perfect balance of quality, value and reliability. Top 10 Best TDS Meters in India 2017 – The smartest and quickest way to find the best products. Daily updated Top 10 lists. Look, Choose, Buy Smart! 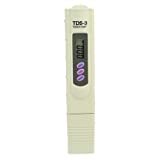 HM Digital TDS Meter Water Purity Tester saves measurements for convenient reading and recording. Tds meter size: approx. 15.5x3x1.6cm/6.1x1.1x0.6" power cord length: 80cm/31.5" iron bar length: 7cm/2.76"